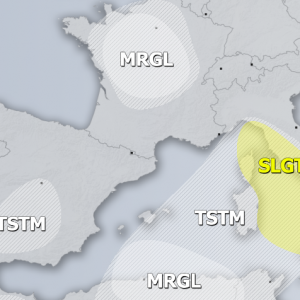 A slowly moving frontal boundary will establish a corridor of training thunderstorms across southern Istra and Kvarner bay, pushing into Gorski Kotar and Snežnik massif of NW Croatia and SW Slovenia. Excessive rainfall will result, with major threat for additional flooding. 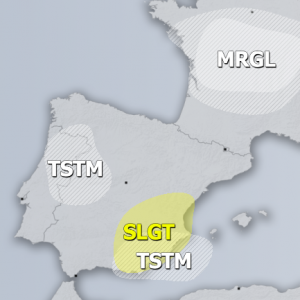 The training storms will develop along the slow moving frontal / convergence boundary, persisting over the Kvarner bay and S-SE Istra peninsula for hours. 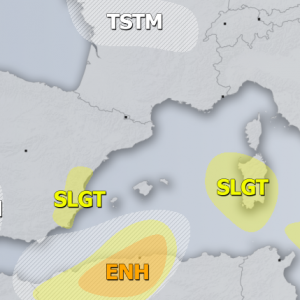 Intense convective rainfall is expected, further enhanced by strong orographic effects inland over the Dinaric mountain range. Extreme amounts of rainfall are expected, with over 200 mm additional rainfall by early tomorrow afternoon. Locally in NW Croatia and extreme WSW Slovenia floods are already underway. In addition some considerable instability is expected to build up (considerable for early February) with up to 400-600 J/kg CAPE, combining with strong upper level forcing and up to 40-60 kt deep-layer shear. Storms with rotating updrafts are expected as well as enhanced threat for waterspouts / tornadoes.